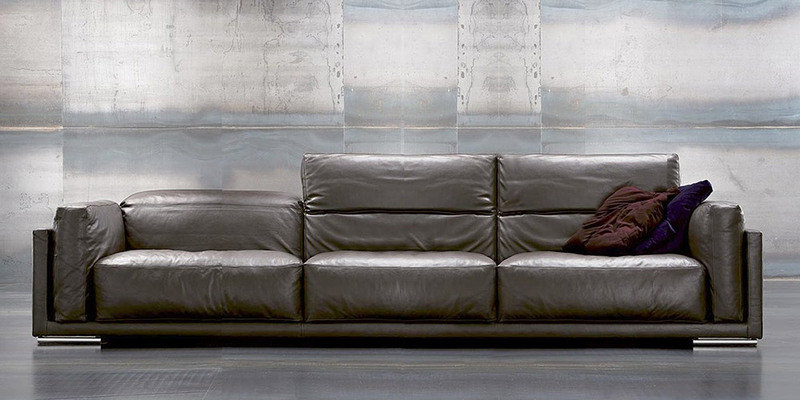 Beautiful and very comfortable Italian leather sofa with modern and original design and high, large and deep seat cushions filled with real goose feather. Loinrests, arm cushions and foldable back cushions are filled with smooth sinthetic cotton in high quality. This kind of tecnology makes Fox sofa extremely comfortable and cozy. You will have in your house a restful and peaceful place to forget a long and hard working day. Foldable back cushions are regulated in 6 levels. Feet arte stainless steel. 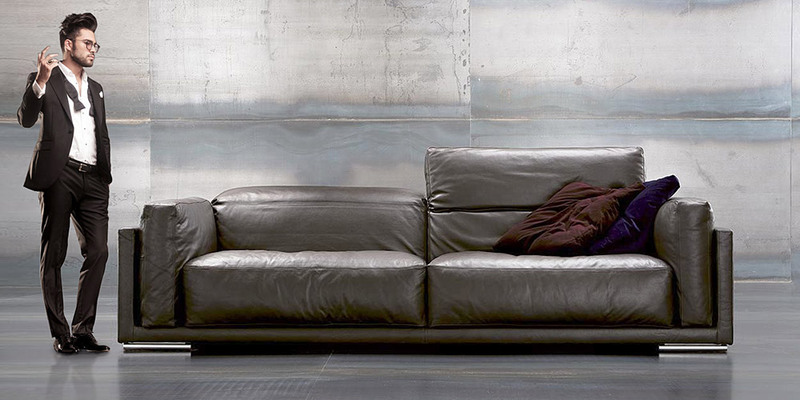 Fox Italian sofa is made in custom size, in any leather class shown in color chart.